Hello guys, I am a Java developer and have been writing about Java for a long time. Initially I wasn't interested in Python but eventually, I had to join the Python wagon when I started exploring Machine Learning and Data Science. There is no doubt that Python is the #1 programming language and it's heavily used in areas like automation to web development to machine learning and Data Science. The popularity of Python has exploded in recent years as more and more people started learning Python for Web Development and Machine Learning. One of the important reason for such a phenomenal rise in popularity was the framework and libraries available in Python which makes everything easy. If you are using Python for Web Development or want to develop a web application using Python but not sure which frameworks to use then you have come to the right place. In this article, I'll share some of the best Python frameworks for Web Development which ranges from full-stack frameworks like Django to minimalist framework like Cherry2Py. There is a good chance that you already familiar with some of these frameworks but if you are not then don't worry as I will also show you where can you learn and gain enough experience to use them in your project. Btw, if you don't know Python or just started to code with the aim of developing a Web application in Python I suggest you check out The Complete Python Bootcamp course on Udemy, it's one of the most popular and comprehensive course to learn Python Programming league. 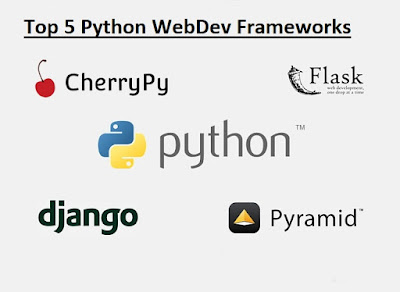 Here is my list of some of the best Web development frameworks for Python developers. The list includes both full-stack frameworks and microframework which allows you to choose the extension you want to build your web application. Django is a free, open-source, and full-stack Python framework. You can use Django to create your web application from ground zero. The key feature of Django is that it tries to provides all of the necessary features by default as opposed to offering them as separate libraries. Django's primary goal is to ease the creation of complex, database-driven websites, which is what most of the Modern Web applications are. Django is also a very fast, secure and scalable framework which makes it ideal for modern day web applications. 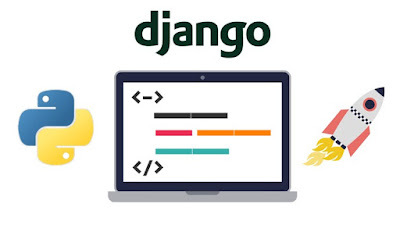 If you want to learn more about Django, I suggest you go through the Python and Django Full Stack Web Developer Bootcamp course on Udemy. It's one of the most comprehensive course to learn Django and almost 70,000 students have trusted that on Udemy which is just amazing. It has also got on average 4.5 rating from close to 17,000 reviews which shows its quality. Flask is another Python framework available under the BSD license. It is inspired by the Sinatra Ruby framework. Flask depends on the Werkzeug WSGI toolkit and Jinja2 template. Flask is opposite to Django, while Django bundled everything you need in one package, the main idea behind Flask is to help build a solid web application foundation. From there, you can use any extensions that you might need. Flast's lightweight and modular design make it easily adaptable to developers’ needs. It includes a number of useful out-of-the-box features like Built-in development server and a fast debugger along with integrated support for unit testing. If you want to learn more about Flask for developing a real-world web application, check out REST APIs with Flask and Python course on Udemy. One of the better course on REST API using Python. It's also trusted by more than 30,000 students and have on average 4.6 rating from close to 5300 reviews which is amazing. 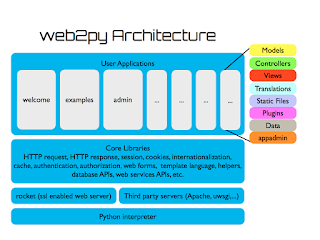 Web2py is another popular, scalable, and open-source full-stack Python framework. There are many things to like about Web2py framework like it comes with its own web-based IDE which, among other things, includes a code editor, debugger, and one-click deployment. The downside of this web framework is that Web2py does not support Python 3, which is by far the most popular version of Python Programming language. If you want to learn more about Web2Py I suggest you go through Fun and creative web engineering with Python and Web2py course on Udemy. It's one of the best course to learn the Web2Py framework in Python and it's also completely FREE, you don't need to pay a single cent to join this course. All you need is a Udemy account that's it. More than 20,000 students have benefitted from this course already and it has on average 4.0 rating form more than 500 reviews which are superb for a free online course. The Pyramid is also an open-source Python-based web development framework. Its main goal is to do as much as possible with minimum complexity. If you look Megaframeworks make decisions for you, but if you don't fit their viewpoint, you end up struggling with their decisions. On the other hand, Microframeworks force no decisions, making it easy to start. But as your application grows, you're on your own. The most striking feature of the Pyramid is its ability to work well with both small and large applications. The Pyramid framework is like the best of both world, I mean from a mega framework like Django to MicroFramework like Flask and Cherry2Py. See Python Pyramid Web Dev - Beginners on Udemy course to learn more about the Pyramid framework. The Bottle is another Python micro-framework, which makes it easy to start. Originally meant for building APIs, Bottle implements everything in a single source file. It has no dependencies apart from the Python Standard Library. Coding with Bottle gets you closer to the metal than coding with any full-stack framework. Its default features include routing, templating, utilities, and a basic abstraction over the WSGI standard. 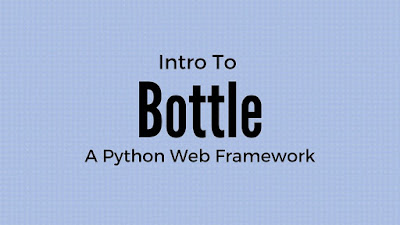 You can further check Python - Bottle Web Framework course to learn more about Bottle Web Development framework in Python. It's another awesome FREE course to learn Python Web Development framework and covers Bottle. It's a relatively new course but still, more than 8000 students have already enrolled in it and taking advantage of this course. Btw, don't forget to check out the price of the course before joining because in Udemy most of the free courses are converted into paid once they achieve their marketing goals but once you join the course it will be available to you for free lifetime. That's all about some of the most popular Python Web Development frameworks programmers can learn this year. Python is full of choices and you can choose what you want based upon your specific requirement. Django is the best general purpose, full-stack framework and Flash is the best microframework which allows you to choose the extension you want. Thanks for reading this article so far. If you like these Python Web development framework then please share with your friends and colleagues. If you have any questions or feedback then please drop a note. P. S. - If you are new to Python world and wants to learn Python programming language before exploring these frameworks and looking for some free stuff to start with then you can also check out this list of 10 Free Python Courses to learn Python in depth.